 SHIZU is a Japanese singer, songwriter and novelist. As a child, SHIZU' was a sensitive and creative girl. She prefered singing with her father's classical music records, drawing pictures and making stories, rather than playing with friends. She found that music had a healing power for her. SHIZU' started to write poems and lyrics when she was an early teenager. When she was a high-school girl, SHIZU' was asked to sing in a cover rock band. While performing in that band, she won first place in a contest for best vocalist. After she graduated from school, SHIZU' moved to Sapporo and Tokyo and started taking voice lessons and teaching herself English. Then in 2002, a Swedish independent label released her single CD. The following year, she gave live performances in Skelleftea, Sweden. Her voice started to attract people's attention. In 2003, a Japanese independent label released her single CD and in 2004, she appeared in a video-clip of JAPANGUIDE.ORG as a Japanese artist in Stockholm, Sweden. Following her popularity in Sweden, SHIZU' became interested in songwriting and began cllaborating and recording with various composers from the UK, USA including a pop group from Slovenia, and American producer Christopher Currell. 2008, mp3 album "Seasoning" was released from Musicman store, and one of songs from that album, "Be Good" (worked with Anthony Tibbs) took 2nd position at the chart of Musicman store. 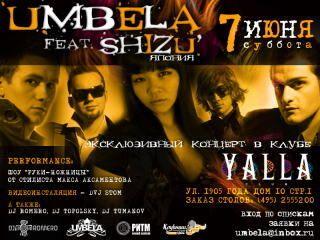 And the same year, SHIZU' performed with Russian popular band UMBELA in Moscow, Russia and that was successful. 2008, A German label Clubstar Records released a compilation CD including her Japanese song,"Yasashii Kimochi - Angel Heart" (worked with SKUFF). 2009, a Taiwan label High Note Records released a compilation CD including "Yasashii Kimochi - Angel Herat" too. 2010-2011, SHIZU worked with Naoki Kenji and CD album "Shiokaze" was released from 4mpo. 2011, SHIZU released her first novel Angel Eyes on the internet. 2013, She signed a publishing contract with a publisher. She has started to build her career as a Novel writer. "Yasashii Kimochi - Angel Heart- "
"Yasashiikimochi -Angel Heart" as downloading MP3. "Arashi-no Drive -Driving in the storm"
"Ready Or Not Here I Am"
"Walk For My New Life"
"Time Passes" for a week.